Jim Friedlich, 59, is a former Wall Street Journal business executive who has helped national news organizations move into a digital future. The new institute charged with discovering ways to ensure that quality journalism endures in the Philadelphia region has made its big hire, naming a former Wall Street Journal business executive as director. 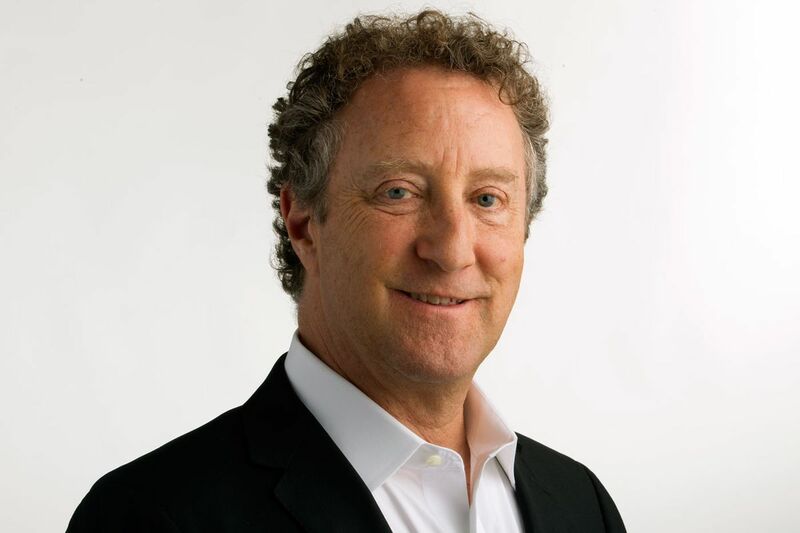 Jim Friedlich, 59, a consultant who has helped national news organizations move into a digital future, was chosen from among more than 100 applicants during an eight-month search. Friedlich has led New York-based Empirical Media, which has been called upon by Tribune Publishing, Time Inc., Reuters, the Journal, and others, to help find a profitable way forward in a news industry battered by budget cuts, layoffs, and losses of advertising revenue. He spent about nine months consulting at Philadelphia Media Network, owner of the Inquirer, the Daily News, and Philly.com. As head of the Institute for Journalism in New Media, Friedlich will be responsible for developing ways that for-profit news companies can survive amid a glut of free online news - and for raising money for investigative and public-service projects. He sought the job for many reasons, but "the principal one is a passion for journalism and its future," Friedlich said. "I'm quite optimistic about the future of journalism, provided that we all execute well. There's some obvious challenges, but also some reasons for great encouragement." Among them: Continuous innovation in traditional newsrooms, as well as in all-digital media; the willingness of readers to pay for digital content; and the emergence of new, philanthropic models. Friedlich spent nearly a year consulting at the Dallas Morning News, where his work helped shape a fundamental rethinking and reorganization of how the company gathers and delivers news, tilting heavily toward serving an online readership. The desk system disappeared, and reporters were placed on teams organized around topics. "He's a little bit like Sherlock Holmes," said Jim Moroney III, CEO and publisher of the Morning News. "He comes in and gathers evidence, if you will, data, input, then forms a hypothesis, then tests it and retests it. . . . He worked with us and beside us, not going off and coming back and handing us two tablets." The new institute is the conception of Philadelphia philanthropist and former PMN owner H.F. "Gerry" Lenfest. In January he announced that he had donated PMN to the newly created institute, which was placed under the umbrella of the Philadelphia Foundation. The nonprofit structure is designed to open philanthropic avenues to fund the company's journalism, allowing charities and other benefactors to give to support specific reporting projects and work on new ways of disseminating news. As part of hiring Friedlich, Lenfest bought Empirical Media and donated it to the institute. Neither would divulge the sales price. Empirical will not function as a separate entity within the institute; its staff and expertise will be absorbed. As executive director, Friedlich will be paid $300,000 a year. Lenfest said he expects Friedlich will gain national recognition for the institute - which it will need to inspire fund-raising. "We don't know whether it can solve the puzzle," Lenfest said. "But we're going to make every effort, working with other news organizations, to continue journalism in the digital age." Friedlich, Lenfest, and PMN publisher Terrance C.Z. Egger will meet with the PMN staff Tuesday. The institute will be headquartered in Philadelphia and have an office in New York. Friedlich and his wife, Melissa Stern, have a home in Center City, and also one in the Chelsea neighborhood of New York City. He plans to split his time between the cities. Media runs in his family. His father was an executive at Time Inc., a cousin is CEO of NBC Sports, and an uncle, Richard Witkin, shared a Pulitzer Prize at the New York Times for coverage of the Challenger space shuttle disaster. A great-uncle was the playwright George S. Kaufman, who wrote musicals for the Marx Brothers. Said Inquirer editor William K. Marimow, "He's precisely the kind of leader the institute needs." Friedlich has been a newspaper executive, an entrepreneur, and an investor in online enterprises. For five years he led Empirical. From 1990 to 2000, Friedlich managed the global advertising sales, consumer marketing. and business development of multiple Dow Jones & Co. newspapers, magazines, websites, and TV channels. At PMN, Friedlich helped form five workshop teams responsible for spurring a series of changes and concentrations in the newsroom, a path to potential paid digital subscriptions, and improvements in the technical performance of the digital products. "The goal in all cases has been to advance the great journalism of the Philadelphia Inquirer and the Daily News in a challenging business environment," he said. "I plan to spend the first few months in this role as a reporter. I plan to look, listen, and learn about this market and how the institute can be most effective." The institute will be both national and local in scope. "We can be the Petri dish for innovation," said Stan Wischnowski, PMN senior vice president. "We're on a path of digital transformation. We have to continue being very successful with our print newspapers, but there's no question about it, we need to speed up our digital transition in a smart and unified way." Lenfest donated $20 million to endow the institute. David Haas and the Wyncote Foundation have pledged $5 million. The institute will draw on the research of universities and nonprofits, fund groups involved in creating media models, and support the education of young journalists. The new institute director "could not have been a better choice," said Egger, who served on the search committee. "I'm thrilled with the hire." The institute's effort to figure out the future of journalism will by itself help raise money for that cause, Egger said, because "people want to give to things that have hope and show signs of traction." Is there foundation and grant money available? "I think the evidence is that there is," Friedlich said. "This is something about which people care deeply."